This year the American Association of University Professors commemorates its 100th anniversary. Our founders started this organization to protect the professional integrity of the American professoriate and the educational integrity of American universities against the corrupting forces of commercial and political interest. It was the Progressive Era, a movement of renewal in reaction to the first Gilded Age. After a century defining and defending ethical and professional standards for universities and professors, the AAUP stands as the indispensable conscience of American higher education. The two pillars of higher education remain strong because, through thick and thin, we have come together as the AAUP to defend them. These two pillars are (1) the principle of free inquiry, subservient to no power, and subject only to the review of academic peers, and (2) the precept that those with expertise in fields of advanced learning should lead, and be the stewards, of our universities. These two pillars are what we call academic freedom and shared governance. By the 1960s, half a century of AAUP advocacy succeeded in establishing wide recognition of academic freedom and shared governance as foundational by American courts and universities. By the early 1970s, adapting to long-term changes that were to transform higher education into a quasi industry, AAUP moved into new territory, facilitating our profession’s access to collective bargaining as a means to extend, and protect, academic freedom, shared governance, and educational quality. Prescient adaptation. The 1970s, in retrospect, gave birth to a new Gilded Age that has challenged the firewalls that protected the American university. The new Gilded Age has been a mean age. Survival of the fittest has weakened the conviction that the good life is built on a commitment to the common good. Since the 1980s, economic class inequalities have widened drastically. Progress made towards closing the unequal status of our black citizens stalled in the 1980s. Upward-educational mobility, that is, access to higher education, stalled as well. Many of us in higher education, for a long time, labored with conviction under the belief that changes in our society wrought by the new Gilded Age were either matters to study, to analyze, or better left to others to address, but certainly not affecting us. We felt comfortable in the conviction that universities enjoy special protections. We were slow to recognize how permeable the firewalls were that separate the university from commerce and power. We were slow to see how far the two pillars of the great American university–academic freedom and shared governance–have been weakened and corrupted. Today, over 70% of teaching at American universities is teaching done by members of the professoriate without job security. Academic freedom is a fiction under these circumstances. Only a small, and dwindling, core of professors enjoy “protections for free inquiry, subservient to no power, and subject only to the review of academic peers.” AAUP has launched a One Faculty campaign to regain the lost ground for our professions. All around us in the American university, any notion that the purpose of higher learning is to meet deep human needs, or to cultivate higher human faculties, is nearly impossible to find. Universities are chasing what sells at the expense of what we need, and refining their skills for packaging what sells as though it were what we need. In this environment, even the shrinking number of faculty who enjoy the protections of tenure, established to secure free inquiry, are under pressure to teach what sells, to market what they teach, or to not teach. Except perhaps at elite universities, students are paying more and getting less. “Image is all, obey your thirst,” was the tag line of a popular soda commercial endorsed by an iconic sports figure. This tag line perfectly captures the fearless spirit of our times that permeates higher education, at the instigation of misguided six- and seven-figure income administrators. “Image is all, obey your thirst,” is in an advertisement to sell a mix of water and corn syrup. Every viewer of the ad is aware of, and tickled by, the irony. It is not funny when education is our business. In the year of the AAUP centennial, American universities–professors, the many other dedicated professionals who support students, and the students we labor to support–find ourselves swimming against strong, adverse currents. The same adverse currents large numbers of Americans are swimming against. At the century mark, AAUP continues to represent, organize, and articulate our determination to succeed, animated by commitments to free inquiry, to the cultivation of higher human faculties, and above all, by trust in generosity of spirit. I would like to invite all of you, colleagues and friends, to join in recharging our fighting spirit. 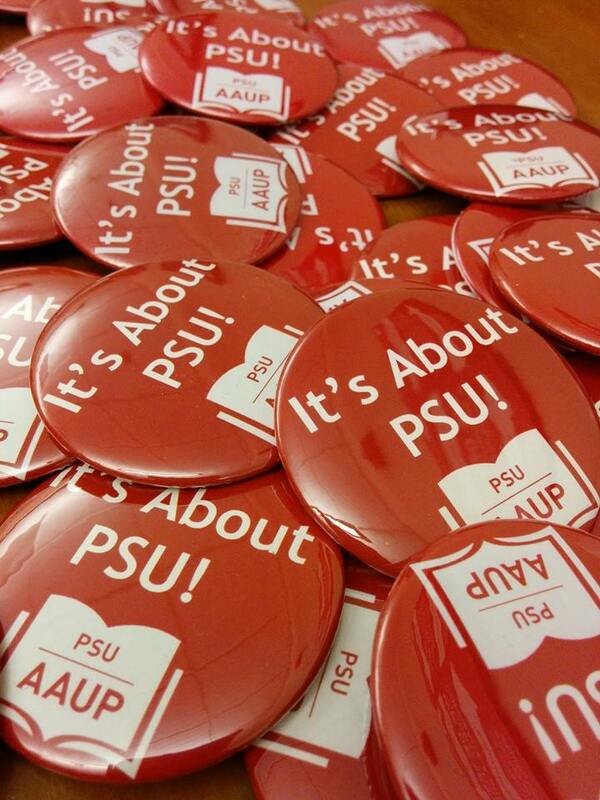 Visit the (cyber) home of AAUP, explore the Journal of Academic Freedom, and the monthly analysis magazine Academe, ponder the other careful reports and publications, obtain the copy of “Redbook,” and sign the AAUP Centennial Declaration. It’s an exciting time to be working in our newly revitalized state conference. Our collective bargaining program, sharing information and creating solidarity around bargaining issues, is getting started. We are creating a place on our soon-to-be launched redesigned website for bargaining representatives to share information and communicate. We are working to create a statewide legislative presence for AAUP affiliated faculty. Last week we trained faculty legislative activists in both Portland and Eugene. We are in the process of taking positions on pending legislation. This legislative session we have the opportunity to push for a real increase in state support for higher education for the first time in many years. Get involved by contacting your collective bargaining chapter legislative chair or by getting in touch with me. More news on legislative work next month. 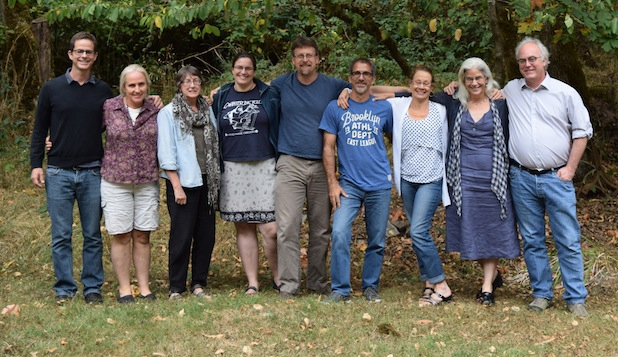 Our new regional lead organizer for national AAUP, Dawn Tefft, will be moving to Portland to start supporting our organizing efforts and those of other Pacific Northwest colleagues next month. We look forward to making use of her expertise as we build our internal strength and bring in new members. We are beginning to start planning for our annual conference, scheduled for April 25th in Eugene. Mark your calendar now! Believe it or not, this is an interesting, and potentially exciting, time to be a contingent faculty member at a private college or university in the United States! On Dec 16, 2014, the National Labor Relations Board issued a Review and Order to exercise their jurisdiction over the right of faculty, both tenure-related and contingent, to organize and collectively bargain. The path to this decision has been long and arduous. The NLRB, an independent federal agency created by Congress in 1935, is tasked with oversight of the National Labor Relations Act, which guarantees the right of private sector employees to engage in activities guaranteed in the Act. However, for faculty in private, and religious-based institutions the rights guaranteed by the NLRA have been curtailed by several Supreme Court decisions, particularly NLRB vs. Catholic Bishop of Chicago (1979) and NLRB vs.Yeshiva University (1980). In the Catholic Bishop decision the Court concluded that a “religiously associated” institution would violate “the Religion Clauses” of the First Amendment of the U.S. Constitution if it engaged in collective bargaining with its employees. In the Yeshiva decision the Court held that while the academic workplace was considerably different from an industrial setting, an analogy could be made in that the university’s product was “education” and that “the faculty determines the product to be produced, the terms upon which it will be offered, and the customers who will be served.” The Board determined these to be “managerial decisions;” therefore, faculty were not protected by the NLRA and the Board declined jurisdiction over them. Following this decision, the NLRB has issued nearly two dozen decisions, slowly devising a framework to determine the status of faculty under the NLRA. In Yeshiva, the Board determined that faculty “substantially and pervasively” operated the university by exercising pervasive control over decision-making and playing a “crucial role” in determining central policies of the institution. That was 1980; as we all know, our profession has changed drastically since then; Yeshiva seemed almost reasonable in an era of mostly tenured faculty, an era during which academic freedom existed and was respected. According to AAUP, we are now over 70% contingent, and our managerial role has devolved, to say the least. In some ways, administrations have maimed themselves in their relentless push to dismantle tenure, to hire contingent faculty, to hijack shared government functions. The “managerial” language of Yeshiva seems ironic, and almost laughable in relation to our workplace today. 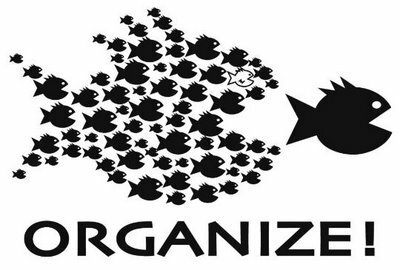 And so the NLRB’s latest decision to assert jurisdiction over the petitions of faculty to organize and collectively bargain seems an inevitable next step. On April 11, 2013, the Service Employees International Union, Local 925 filed a petition with the NLRB to represent all non-tenure-eligible contingent faculty members employed by Pacific Lutheran University. The details of the review process are fully illuminated by reading the entire decision and order (Case 19-RC-102521). The result is a new standard by which faculty in private and religiously associated universities are determined to be protected by the NLRA. In the case of religiously associated institutions, the Board ruled that in order to qualify for a religious exemption, the university must both “hold (itself) out” as “providing a religious educational environment, and must “hold out” faculty members seeking to unionize as “performing a specific religious function” in the educational environment. As to the “managerial” function of faculty, the Board will examine the faculty’s decision-making participation in academic programs, enrollment management, finances, academic policy, and personnel policies and decisions, giving greater weight to the first three areas. Faculty members must have more than “paper authority” to be exempt from protection from the NLRA. The NLRB has also recently significantly expanded the right of employees at private institutions to use their employers’ email systems for union organizing and has issued revisions to union election rules that simplify and expedite the elections process; employers must now provide organizing core groups with personal email addresses and phone numbers for employees. These decisions recognize, at last, the current position of faculty in private universities and their need to collectively bargain with their employers. Stay tuned, next month we will consider the current position of the faculty at PLU. It was great to see our colleagues from around the state on Saturday the 24th at the AAUP-OR Executive Committee meeting. Sharing stories on common challenges and getting updates on the great work you all are doing is very inspiring. 1) Here is our summer session report. We heard from many members about the cuts in summer courses and summer pay that began in 2012, and we are hearing concerns about what will happen in summer of 2015. We did a survey, held a coffee for conversations about summer, and we requested information from administration. This report is full of data, both quantitative and qualitative, that paints a solid picture of the cuts that have hurt our students and faculty. Action steps are underway. What’s happening at other universities? 2) Please hold the following dates for PSU-AAUP’s 2015 Speaker Series: April 9th and 10th for Dr. Steve Hicks, Former APSCUF (Association of Pennsylvania State College and University Faculties) President, from Lock Haven University of Pennsylvania, and May 7th and 8th for Dr Peter McLaren from Chapman University in Orange, California. Both speakers will give public lectures and each will meet with leaders and activists! Please join us and stay tuned! Already? Yes, United Academics began bargaining its second contract this term. We’ve not yet finished rolling out the first contract, but here we are. The night before we began UA held a very successful kick-off that introduced our bargaining team and some of the proposals we’ll discuss at the table. All of our articles are guided by the principles written by the Collective Bargaining Committee and ratified by our Representative Assembly: equity, stability, transparency, faculty voice, and balanced priorities. Our bargaining team, led by executive director, Dave Cecil, consists of Scott Pratt (Phil), Gina Psaki (RL), Ron Bramhall (LBS), Debbie Green (REL), and Juanita Devereaux (RL). We put most of the articles we’re opening on the table January 29 (minus the economic package). The highlights of our non-economic proposals include: clarifying what “appropriate and equitable participation” means in internal governance policies, giving reasons in writing for declining to renew the contract of career Non-Tenure-Track-Faculty bargaining unit members, clarifying the role of UA when bargaining unit members who have been denied promotion or tenure navigate the appeals process, bringing our grievance procedures into alignment with Oregon Administrative Rules, establishing a fund for child care subsidies and establishing a sick leave bank. On February 5, the administration put forth the majority of their non-economic proposals. They framed their articles around the principles of equity, budget necessity, flexibility for academic programs and the unique concerns of the research community. Many of their articles were clarifying confusing language in the CBA or addressed problems encountered during this past year of implementation. There were a few changes put forth that were troubling: for example, reducing NTTF full-time-equivalent when a class is cancelled due to low enrollment and no substitute class or assignment can be found, not allowing witnesses at Promotion & Tenure and Review Appeal Committee meetings, denying sabbatical leaves for research faculty, and an entirely new article on funding contingent faculty. When the UA bargaining team has a chance to study these proposals and ask more in-depth questions, we’ll know more. One thing that is clearly evident: the tone is very different than the negotiations for our first contract. For one thing, the administration’s lead negotiator is a labor relations professional and treats faculty and faculty concerns with respect. Secondly, we’ve had a collaborative implementation year with our first contract. We’ve worked together to give colleges and departments clear advice on contract implementation, not that it’s always been followed! Both sides have approached implementation from a problem-solving perspective and this has carried over into the early stages of bargaining this second contract. Of course – this was only our 2nd face-to-face bargaining session –stay tuned for updates! The AAUP-OSU advocacy chapter recently published an article in the campus newspaper urging the administration and faculty senate to follow through on statements made after the publication of the survey of contingent faculty (the survey was created through a collaboration between our AAUP chapter and the faculty senate). We will be closely monitoring the follow up to the implied bettering of contingent faculty conditions. We are presently busy organizing a teach-in on social justice and the university (“What does a socially just university look like?”), scheduled for February 25 (National Adjunct Walk-out Day). We have invited a number of organizations to join us in organizing the teach-in, including CGE, SEIU, and ASAP (Allied Students for Another Politics). We also plan to be involved with a “Debt Assembly” planned by ASAP for the following week, focused on rising tuitions and student debt. All in all, it looks to be an active month! 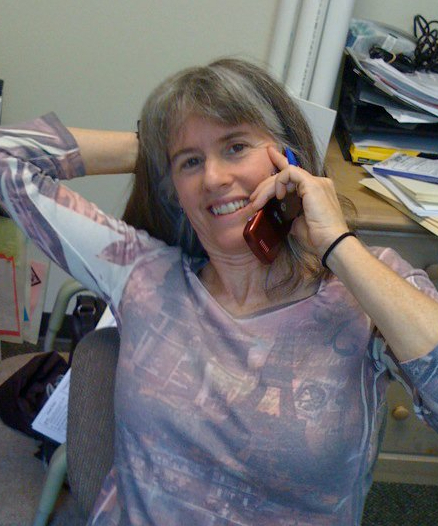 Share the post "AAUP Oregon News February 2015"